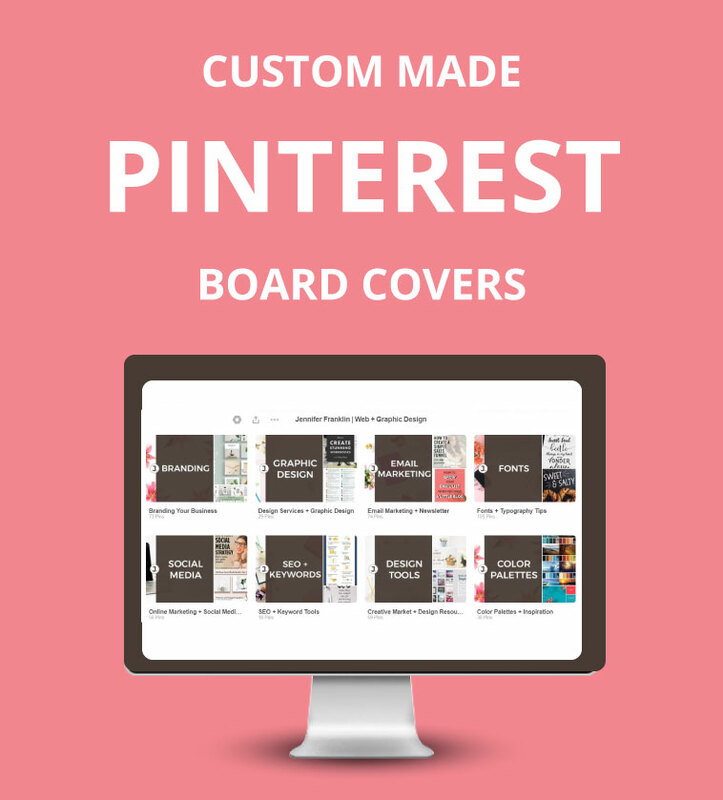 20 Custom Pinterest Board Covers using your business colors and photos to reflect your brand. 20 Custom Pinterest Board Covers using your business colors and photos that are as unique as YOU. Are you struggling to find the time to design your own Pinterest Board Covers? It can be challenging to try and do everything on your own. There isn’t enough time in the day! Let me whip up 20 custom Pinterest board covers for you and get ready to ROCK your Pinterest profile page!